Can you get buzzed from drinking kombucha? This question started as a joke in the Pittsburgh City Paper office. The fermented tea found in Trader Joe’s, Whole Foods, and pretty much any grocery store is known for being ever-so-slightly alcoholic. 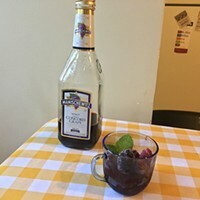 But most commercialized kombucha has a maximum alcohol content of 0.5 percent, meaning there are no age restrictions for purchasing the beverage. As the known kombucha drinker in the office, and wondering if that low amount of alcohol could get you buzzed before feeling disgustingly sick or full, I volunteered as tribute. Luckily for me, some Pittsburgh kombucha companies offered some seriously alcoholic kombuchas. I headed to Red Star Kombucha in Market Square to see what was possible. From previous research, I knew that they sold kombucha with a higher ABV than what is available in stores. Red Star, unlike commercial kombucha, needs a liquor license to operate. Customers must be 21 to purchase. Once there, I choose Red Star’s Clover Queen Ale. 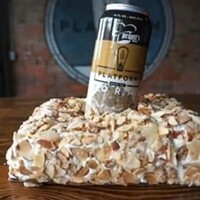 Its alcohol content is 4.5 percent, the highest available for purchase there. I headed back to the office ready to drink. 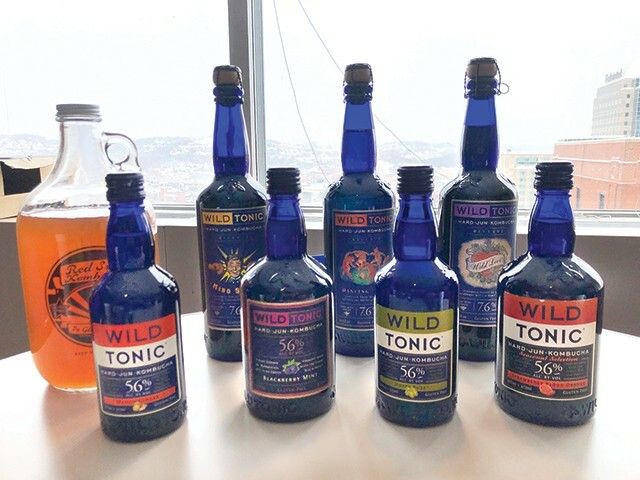 Upon arrival, Maggie Weaver, CP’s office coordinator and food writer, told me that she was sent samples of Wild Tonic’s Jun Kombucha. 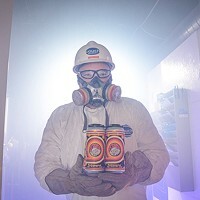 Fermented and bottled in Cottonwood Ariz., the company plans to open a shop in Pittsburgh sometime in 2019. Jun kombucha is a rare cousin of kombucha and is made by fermenting honey, tea, and SCOBY (Symbiotic Colony of Bacteria and Yeast, which is also used to make regular kombucha). The result is a smoother, less vinegary taste. Wild Tonic’s Jun Kombucha came in both 5.6 percent and 7.6 percent. “Game on,” I thought. We started with a few of Wild Tonic’s 5.6 percent beverages. They were silky and didn’t feature the classic fizz and bubble found in store-bought kombucha. We then moved onto Red Star’s Clover Queen, to see the difference between jun kombucha and regular kombucha, before moving onto the 7.6 percent drinks. Fifteen minutes in, I had to take my flannel off (I was wearing it over a turtleneck) because my armpits were sweating—my number one indicator that my sobriety is diminishing. Thirty minutes in, our editor came into the office kitchen to kindly tell us to settle down, our noise level was disrupting the entire floor. An hour in, I found myself writing this very article, body slightly wavy, but mentally alert as ever (thanks to the caffeinated tea aspect). The kombucha buzz I received was slightly heady and giddy, but about an hour later, I felt sobered up and energized. So yeah, kombucha can get you buzzed (or even drunk) if you choose the right one. I’m going to go drink some water now.